We love a good competition here at Fun Kids and grainchain.com and The Big Cake Show are looking for the West’s Best Young Cake Baker. The competition is open to anyone between 11 and 16 years old and they’ll want to see everything you’ve learnt about the process of baking! If you impress you’ll find yourself at the final in front of a gigantic audience at Westpoint, Exeter on 28th March. 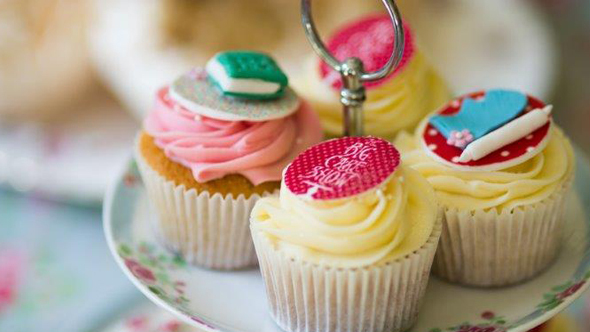 Enter today and you could win loads of baking goodies for your school and meet Mary Berry! The six finalists will be given one hour to cook and demonstrate their baking skills in the Kid’s Kitchen at The BIG Cake Show in March 2014. Entries will be judged by industry pros. The competition is open to all schools south of Bristol. Want to enter? Click here to find out more and enter! Competition closes on 1st January!